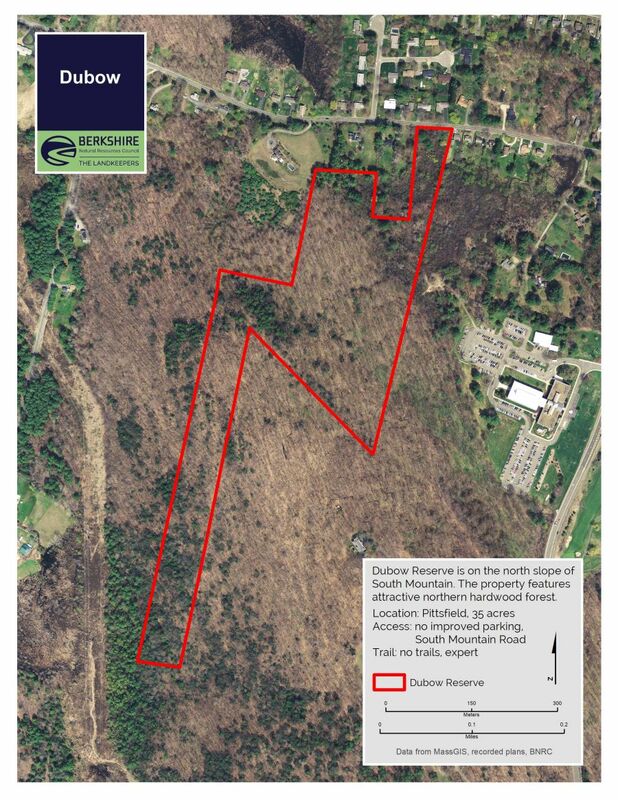 Access is through a wetland, but this property is marked by a beautiful, healthy forest on the northern side of South Mountain in Pittsfield. An essential piece of a puzzle we are still trying to put together. Dubow has no parking; access it from a narrow length of frontage on South Mountain Road, Pittsfield. Look for the frontage between 89 and 135 South Mountain Road. Don’t try to park at the frontage: there isn’t room for a car on the side of the road and the shoulder is very soft! This pretty hardwood forest on the north slopes of South Mountain is the gift of the Dubow family. While it’s hard to find, the intrepid explorer will be happy they looked for this property: this is a very attractive northern hardwood forest with a primary component of sugar maple. The trees are tall and straight and the understory is sparse – bushwacking is easy! 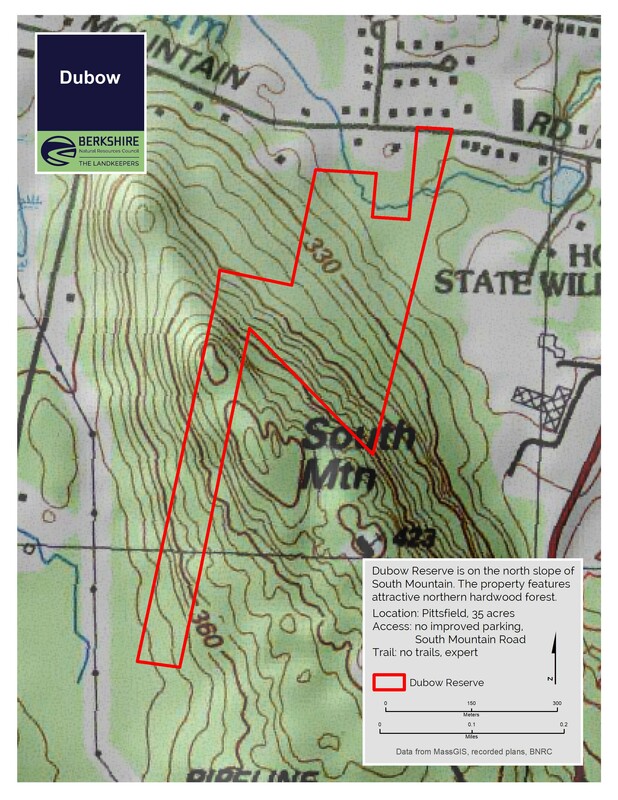 While access to the parcel is difficult, we have hopes that someday the Dubow Reserve will be a key link on a network of hiking trails connecting Pittsfield to Stockbridge. Stay tuned!